Published: Oct. 19, 2018 at 02:58 p.m. 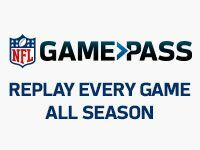 Updated: Oct. 19, 2018 at 03:56 p.m.
Chicago Bears outside linebacker Khalil Mack officially has a 50-50 chance to play in Week 7. Mack (ankle) returned to practice Friday on a limited basis after missing Wednesday and Thursday, and is designated as questionable for Sunday's game against the New England Patriots. The Bears' outside linebacker suffered the ankle injury in Week 6, but played through it. He entered the week considered day-to-day before Friday's practice. Mack's ability to impact an opponent would be missed if he can't play, especially when considering the Patriots are surging offensively the past three games with a balanced attack. The Patriots are averaging 39.6 points per game and 462.3 yards of total offense since Week 4. Mack, who is capable of dominating a game, would certainly help the Bears defense. But just don't compare his game-changing skillset as a pass rusher to Hall of Famer Lawrence Taylor. The Bears also list cornerback Marcus Cooper (hamstring) as doubtful and wide receiver Allen Robinson (groin) as questionable.